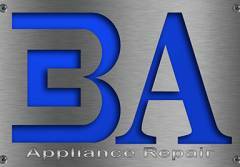 Don’t take our word for it, let our customers tell you why we are the best appliance repair company in the city. Focused on excellent customer service and care because our customers satisfaction is our main priority. Our mission is to provide homeowners with licensed and insured technicians who repair most makes, models and brands of residential appliances. We promise friendly, expert technicians who arrive as scheduled, do a complete diagnoses with estimate before any work begins, and provide same day service. Customers Satisfaction is very important to us, we will perform at the very best of our abilities to ensure our customers happiness. All work is guaranteed for 30 days. Cincinnati’s #1 reviewed appliance experts. Contact us today and help is on the way!